If you have been reading my blog for a while now, you know that I have a picky eater at home. I love to cook fresh, healthy meals for my family, and it is so disheartening when my two-year-old would rather have frozen chicken nuggets than the delicious meal I made. Moms everywhere, I am sure you can relate. Like most toddlers, my kid loves macaroni and cheese. Honestly, I do too, just not the kind that comes from a box. However, try as I might to make healthier, homemade versions of that comfort food, my kids still refuses to eat it. Outside of sweet peas, it is hard to get my son to eat any sort of plain veggie, which is why I have been sneaking them into his meals...a lot. Whether it is in his smoothies, yogurt pops, or juice, I am always finding new ways to get those vegetables in. 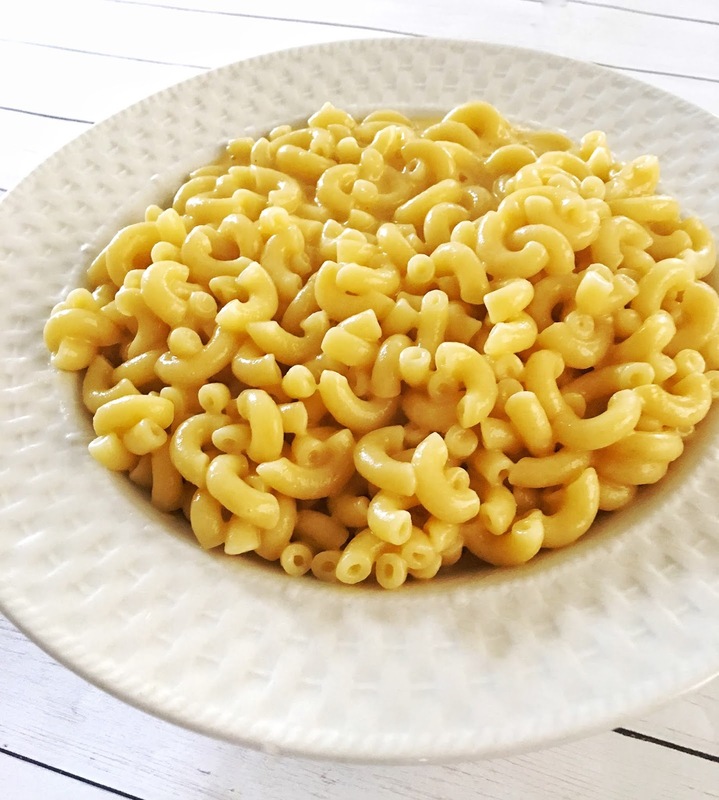 Thanks to my food processor, I have been able to add squash to the list of ingredients in a recipe for macaroni and cheese that my son actually devours! And it is so simple to make as well. This recipe is good for all types of squash, so go with what is in season and affordable. I used yellow squash for this round, but I cannot wait to try with butternut squash as well. BONUS: The color of the squash blends perfectly with the cheddar cheese. Your kid will have no idea it's even in there. Cut squash in half lengthwise and place on baking sheet open side up. Bake for 25-30 minutes until squash is fully cooked and soft. While squash is baking cook elbow macaroni noodles. Spoon the cooked squash into a food processor or blender. Combine with milk, cheese, and butter until you reach your desired consistency. 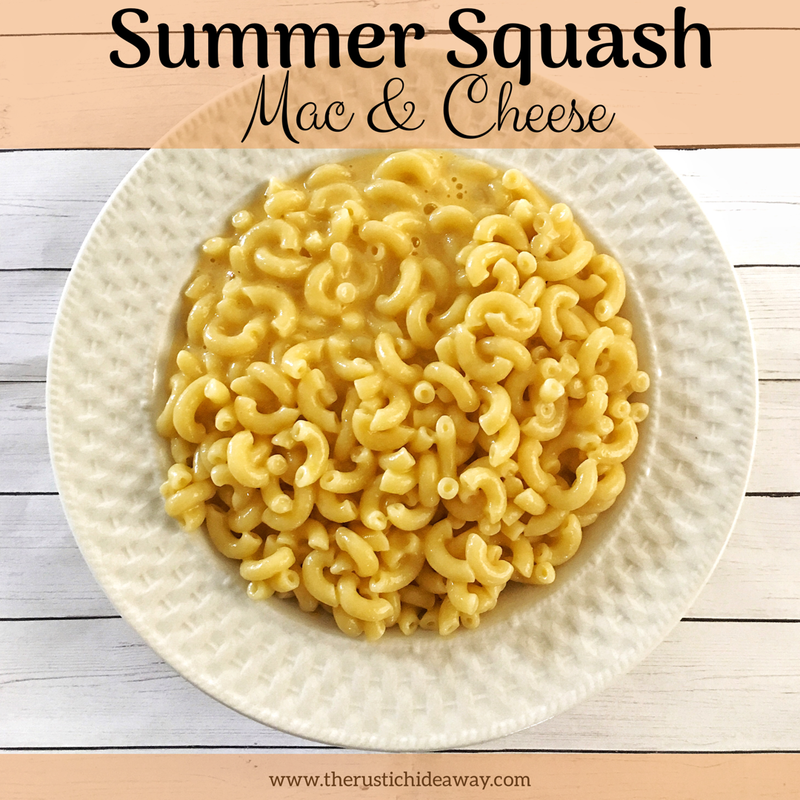 Combine noodles with cheese/squash sauce and heat. Season as you desire and serve! This made quite a bit. Feel free to adjust the recipe for how much you want. Leftovers lasted a couple of days in the fridge.